A perfect starter set or gift for busy artists. 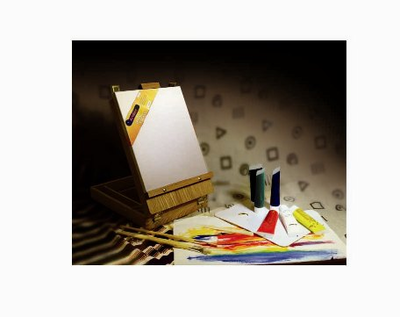 Includes everything you need from the paint to the brushes to the easy-to-carry easel. Get everything you need in one great acrylic painting kit! Guido’s Acrylic Kit and Deluxe Box Set is perfect as a gift for an on-the-go artist or as starter materials for a budding Monet. The set features an easel with a nifty carrying handle and convenient table box that includes five storage compartments to keep all your paint, brushes and other art supplies in one place. Ideal for busy painters on the move! The center column of the easel adjusts to hold different canvas sizes, up to 20.5 inches high (52 centimeters). A stretched canvas, six colors of acrylic paint, four sizes of brushes, a palette knife and a double-sided wooden palette are included in the box set.